Happy Monday morning! Normally Mondays are my getting things done days. For some reason that first day the kids are back in school for the week just makes me productive. But not this Monday… the only work happening today is soaking up some vitamin D! In order to avoid the snow falling at home, the husband and I snuck away to Hawaii for a few days. 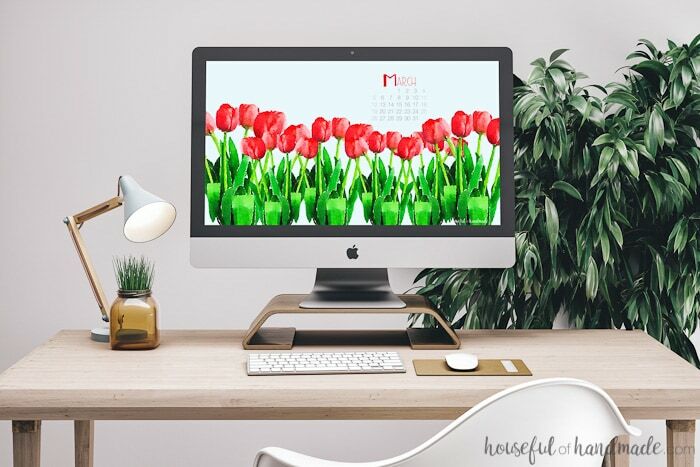 But I didn’t want to leave you hanging all week long, so I made sure to get lots of work done last week including getting the the free digital backgrounds for March ready for you to download. 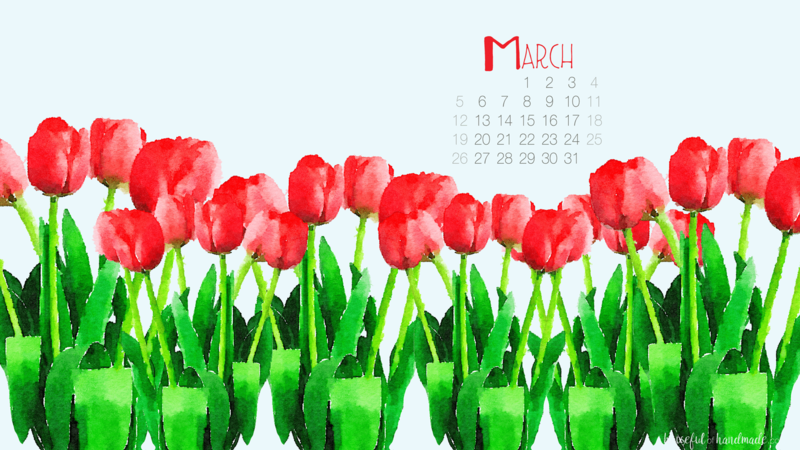 I have been a bit obsessive over all things spring, and I am really hoping March delivers it! It’s suppose to be in like a lion (which is exactly what was happening back home before the beaches and sunshine) and out like a lamb right? So by the end of this month we should be enjoying a bit more sunshine and warmth. 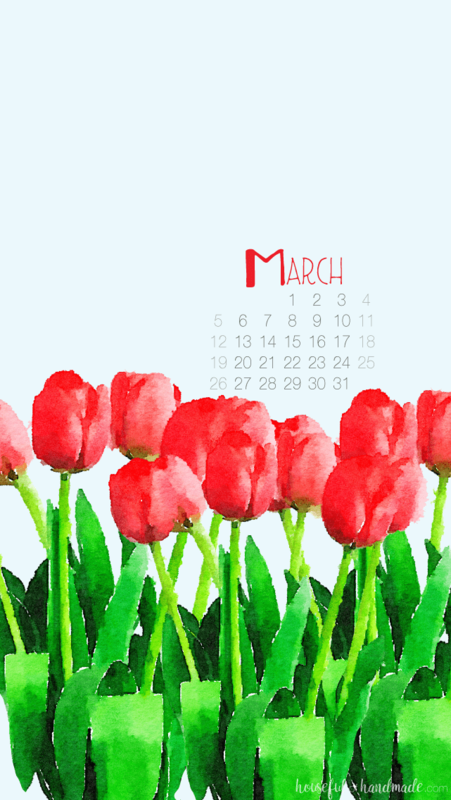 Until then, I decided I needed to bring spring to the new digital backgrounds for the month. After creating these vintage seed flower printables last week, I knew I needed more flowers! Really can you ever have too many flowers? I think not. Since my mom declared here favorite vintage seed packet printable was the tulips, and tulips are one of the first flowers that bloom in the spring here, I figured it was the perfect flower for the free digital backgrounds for March. 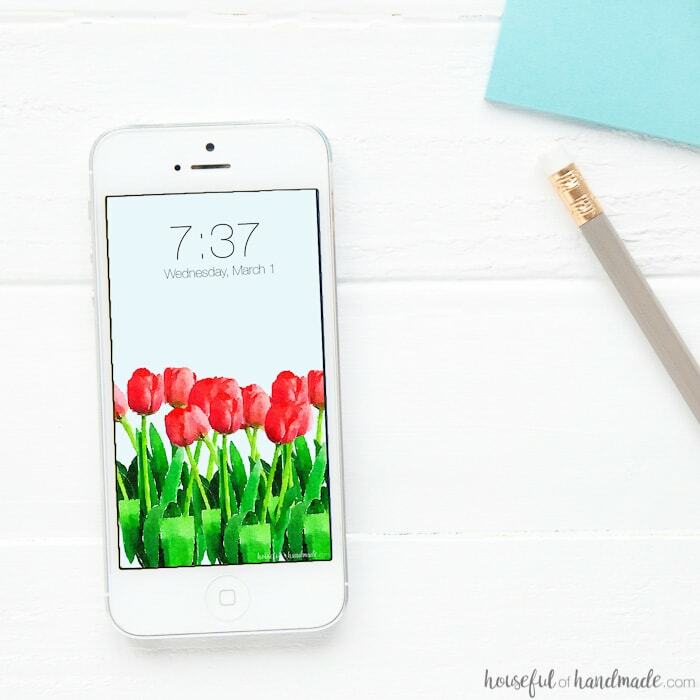 So I took the tulips from my seed packet and made them perfect for your desktop or smartphone. Now you will have a little bit of spring, even if it is still snowing outside. Tulips really are the perfect symbol for spring. 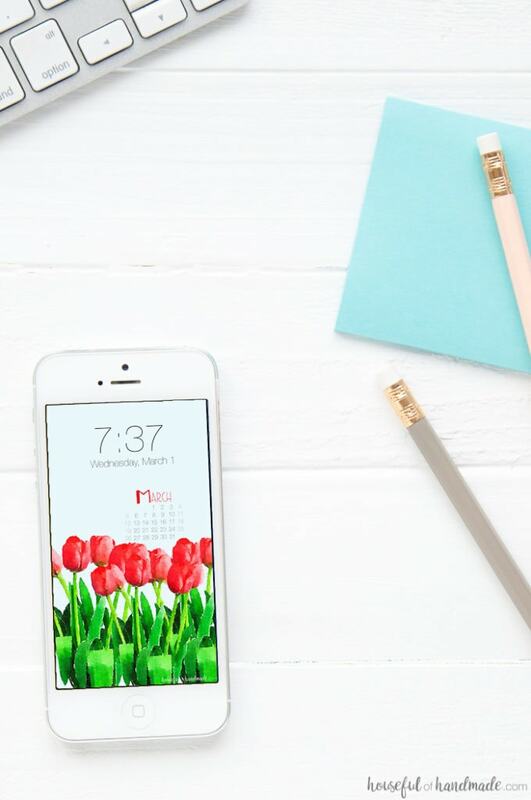 If you are ready to brighten up your electronics, click on the link (or links) below for the backgrounds you want. And make sure to follow along on Instagram for a peek at our Hawaiian adventures. Very pretty! Perfect for the upcoming spring season. 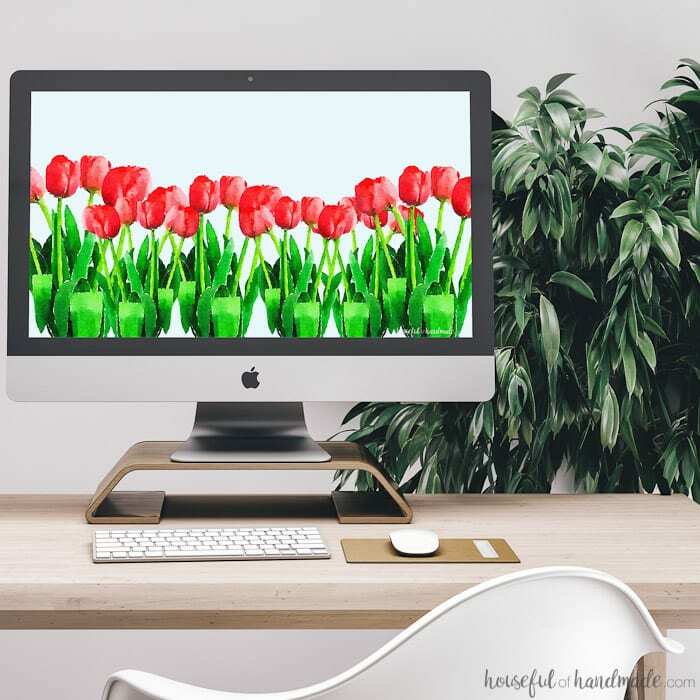 Beautiful background – love the tulips!